Blowout Sale! 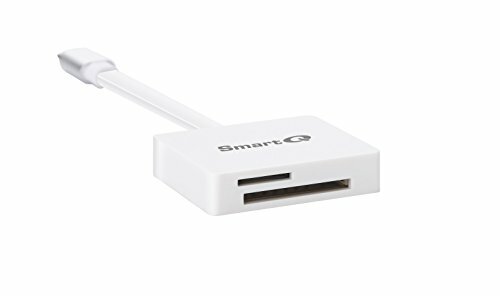 Save 53% on the SmartQ C608 MFI Dual Card Reader For Apple iOS (SD/MicroSD Card) with Two way Transfer Cards Reader Adapter by SmartQ at Pacs BG. MPN: SmartQ C608-W. Hurry! Limited time offer. Offer valid only while supplies last. 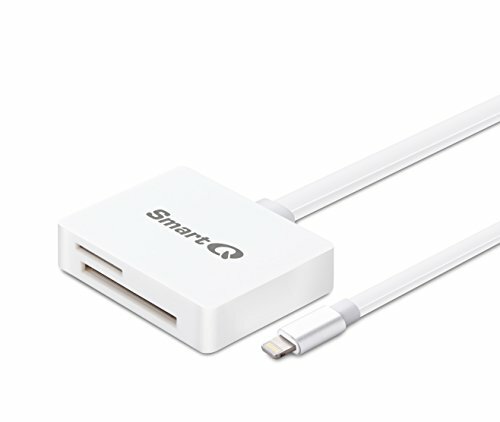 SmartQ C608 lightning card reader is specially designed for iOS devices and features official Apple MFi certification as a fully licensed product. 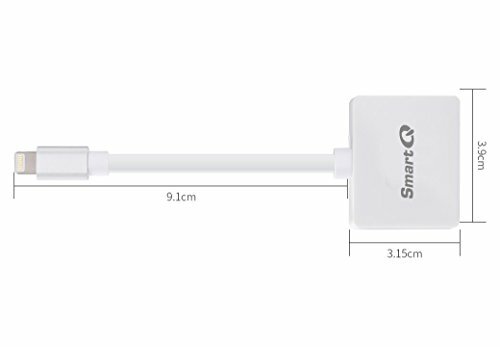 SmartQ C608 lightning card reader is specially designed for iOS devices and features official Apple MFi certification as a fully licensed product. Total compatibility with iOS for seamless interconnectivity and wide media format support, including the first device to offer professional RAW file image support. Never risk losing your files. The card reader also offers two-way data transfer both online and offline at a high speed. Now use our Power-Drive App (available in App Store) so you can search, play and manage your content. The first lightning-based SD and microSD card reader with read and write capabilities, for faster and smoother content transfer between your favorite platforms. 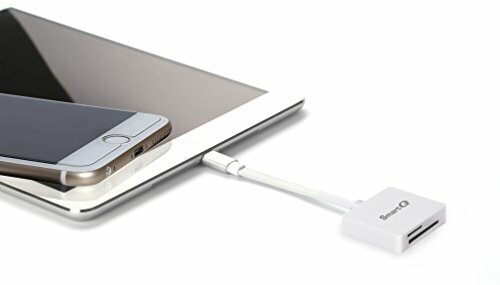 Lightning connector, 100% compatibility, working smoothly with iPhones, iPads, and iPod. Two-way data transfer: Connecting Micro SD and SD card to Apple devices easily whether online or offline with high speed; easy to transfer photos and videos between SD and microSD cards and iPhone, iPad, iPod, PCs and Mac. MFi certified product with lightning connector, 100% compatibility, working smoothly with iPhones, iPads, and iPod. Exclusive Management App: Free app available on App store for effortlessly intuitive use and access to diverse features with strong media support, including professional-grade RAW image files. Search, play, manage, and backup without having to login to iTunes or even going online. "Power-Drive" App, can be downloaded from App Store to work with the device. When the Dual Card Reader is plugged into an iOS device, a pop up window will prompt to ask to launch"Power-Drive"App. Firmware upgradable via the "Power-Drive"App. If you have any questions about this product by SmartQ, contact us by completing and submitting the form below. If you are looking for a specif part number, please include it with your message.